Kicking off with an opening gala on February 9 at Pier 35, an event known for creating special cross-brewery collaborations and rare beer pourings, this extended celebration of the Bay Area’s beer community includes happenings at breweries, bars and restaurants all around. Some highlights: A cellar release day with Drake’s Brewing Co., a dim sum beer brunch with Fort Point Beer Co., the Downtown San Jose Beer Walk and the Double IPA Festival at The Bistro. Set during Arizona Beer Week, this festival comprises more than 400 beers of various styles to provide “respite for the winter weary.” SanTan Brewing Co., Borderlands Brewing Co., Dark Sky Brewing Co. and Four Peaks Brewing Co. are just a few local names that will join nationally recognized brands such as Founders Brewing Co. and Goose Island Beer Co. at this winter festival located in Phoenix’s Steele Indian School Park. Live music and food vendors will also be present. 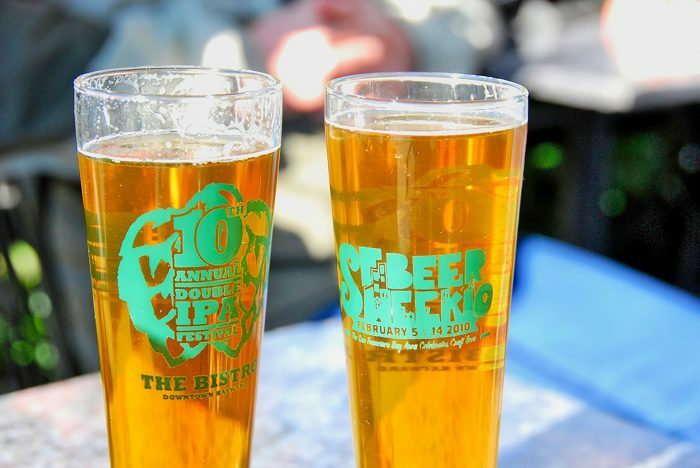 Tickets are now on sale for World Beer Festival Columbia, which returns to the South Carolina State Fairgrounds for the second year on Saturday, Feb. 17. Local breweries as well as regional and national brands will once again join this popular winter fest in South Carolina’s “famously hot” city. Take Nebraska Brewing’s Betty, but use twice as much grain and a double mash to generate sticky, alcoholic sweetness. Then add a healthy dose of Warrior hops and age it for six months in a blend of four different bourbon barrels, and you get the brewery’s MOAB, or “Mother of All Bettys.” This “monster” beer will be available in extremely limited quantities of 500-mL bottles. Left Hand’s rotating saison series, Les Quatre Saisons, features native Colorado ingredients unique to each season. The addition of wildflower honey to this brew gives Saison au Miel a touch of sweetness and rounds out an otherwise crisp and dry farmhouse ale. This release will be available in six-packs of 12-ounce cans and on draft. Aged in fresh bourbon barrels, the vanilla and coconut notes of this beer are accentuated by the presence of oak, and are further complemented by chocolate and espresso notes. German Chocolate Cake will be available in 22-ounce bottles and on draft.